This is a chance hybrid (Sedum sarmentosum X Sedum mexicanum? )discovered by Pascal Femenia in northern France. Densely packed, pea-green leaves in spirals on bushy plants that grow to 8 inches tall. 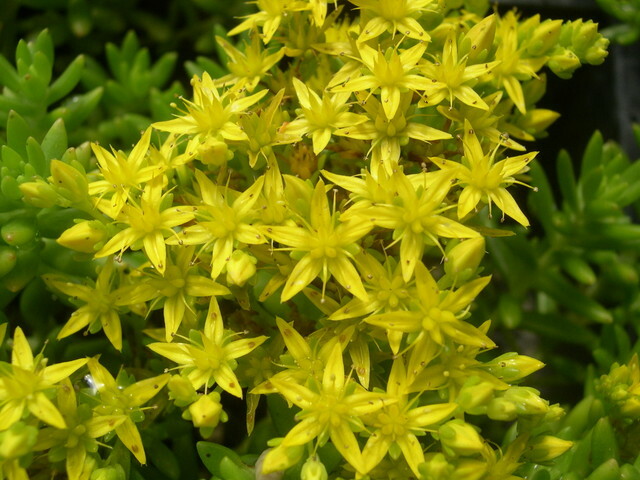 The flowers are a bright golden yellow and appear in May-June. Hardy to at least 15 degrees F. Evergreen.